There may be no better place to experience ice fishing than Michigan. 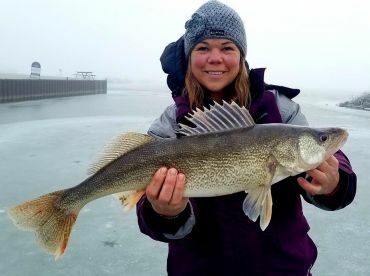 Even in the dead of winter, anglers can make the most of more than 11,000 lakes here. These waters host over 150 different species of fish, and with a little know-how, you can catch all of them through the ice. 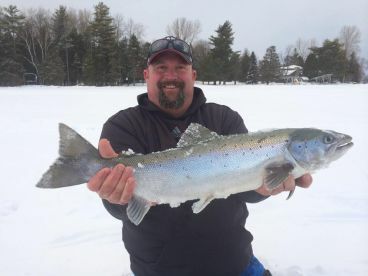 If you’re determined not to let a little cold stand in your way from a trophy catch, the ice fishing Michigan has in store is just the thing for you. Michigan gets 4-5 months of weather cold enough to support ice fishing each year. Depending on the lake, safe ice can start as early as the beginning of December and last through April. When local lakes freeze over, anglers have access to areas that they can’t normally reach during open water season. This provides the perfect opportunity to hook into Walleye, Bluegill, Perch, Northern Pike, Trout, and more. This local pastime can be as simple as drilling a hole in the ice and dropping a line, or it can be a full-blown camping experience with heated shanties, state-of-the-art lighting, and many other amenities. You can set up camp on a little lake and drop a few lines on your own, or hire a local guide to show you the best spots around. 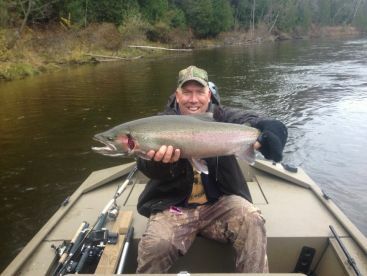 For those who don’t know where to start, here’s a quick look at a few of the best ice fishing spots in Michigan. Many consider this to be the premier ice fishing spot in MI. Located next to Lake Michigan, Hamlin Lake is easily accessible through the Ludington State Park. This lake is deeper than others, but normally forms safe ice before Christmas. The upper part of the lake is shallower and freezes over first, so be sure to head there if you’re eager to get started! First ice provides the hottest action of the season, when anglers catch bigger than average Bluegill and Sunfish in the weed beds. A teardrop lure tipped with a wax worm is the best way to get these fish to bite. 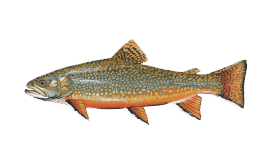 You’ll also have great success fishing for Walleye early in the season, along with Northern Pike (these fish go after live golden Shiners). 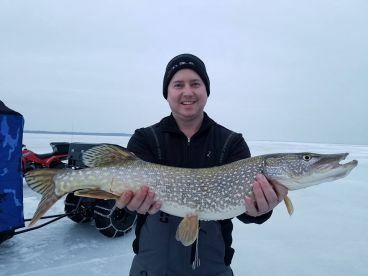 Ice fishing on Hamlin Lake slows down as the season progresses and the fish are less easily fooled, so be sure to bring extra sensitive rods, light line, spring bobbers, and small baits or lures. To avoid weekend crowds and fishing pressure, plan your trip on a weekday. 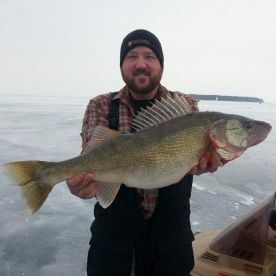 Located in Wexford County near the town of Cadillac, Lake Mitchell also provides excellent ice fishing opportunities throughout the season. This lake ices up early in December and is typically safe to fish on long before Christmas. Here you’ll find plenty of Crappie, Bluegill, Perch, Sunfish, and Northern Pike. 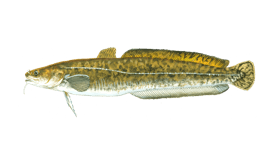 Walleye also swim below the ice here, but prove harder catch because the local Pike tend to beat them to the bait. A sensitive, delicate rod with a light line and spring bobbers will help you catch all these fish. Crappies are partial to small Minnows, while Bluegills and Sunfish prefer maggots and spikes. A tip-up with jumbo suckers or Smelt will entice trophy-sized Pike. Right next to Lake Mitchell is Lake Cadillac, which freezers over at the same time and produces all the same species. This lake is known to produce better Perch and much bigger Pike than Lake Mitchell, though there are less of them here. You can expect good fishing through March or April. Houghton Lake is located smack dab in the middle of the upper portion of MI’s Lower Peninsula, between Hwy 127 and I-75. This is the largest inland lake in the state, covering 20,000 acres. It’s also relatively shallow, which means it’s one of the first lakes on the peninsula to freeze over each year and offers safe ice as early as the second week in December. You can enjoy excellent ice fishing here up until early April. Houghton Lake hosts high numbers of Crappie, Bluegill, Walleye, and Sunfish. You’ll find plenty of Walleye in the shallow parts of the lake early in the season before they move to deeper water (12-14 feet). Panfish swim throughout the lake from top to bottom, so be sure to fish the entire water column if this is your target. These fish bite gold and chartreuse teardrop lures as well as jigs tipped with wax worms and spikes. 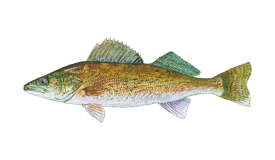 Walleye go for Swedish Pimple lures with Minnow heads. 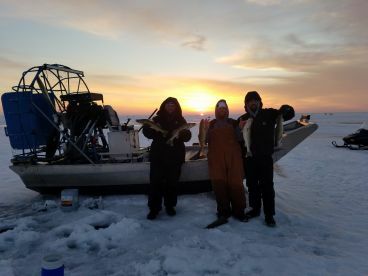 Located near Metro Detroit, Cass Lake is a great way to experience the ice fishing Michigan has to offer without straying far from the city. This lake typically offers safe ice conditions by late December or early January. The fishing stays strong all season, but you can expect the hottest action early on. Cass Lake has a reputation for jumbo Perch and beautiful Crappie. You won’t be disappointed in the size of the local Pike and Walleye, either. Bluegill and Sunfish also abound in these waters. 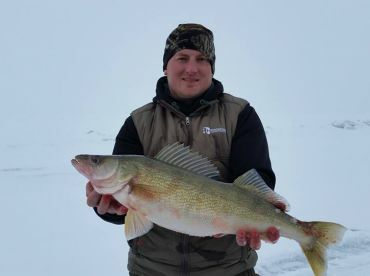 If you’re after Walleye, look for areas of the lake that slope down from 10 feet to 40 feet and continue moving until your electronics pick up on action below the ice. Similar to Houghton Lake, a Swedish Pimple with a Minnow works wonders for catching Walleye here. Meanwhile, Panfish are mostly located in an area known as “The Guts” on the lake’s north shore. 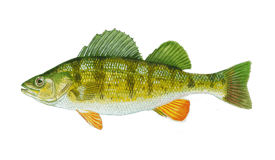 Wax worms, spikes, and mousies will help you catch Sunfish and Bluegill, while small Minnows work best for Crappie. Anglers age 17 and older must purchase a MI fishing license (available online). You can buy a single day license for $10 or a 72-hour license for $30 (prices subject to change). Annual licenses are also available for different prices depending on whether you are a state resident. Anglers are welcome to keep many kinds of fish they catch while ice fishing in Michigan, but be aware of size and bag limits. Depending on the lake, some species may not always be legal to keep. You can find out more about ice fishing regulations and safety advisories on the MI Department of Natural Resources website. For your safety, never go ice fishing alone and steer clear of dark or discolored ice. Be sure to carve a hole that is big enough to fish through, but not large enough to endanger someone’s life if they fall. For first time ice anglers, hiring a local guide is highly recommended to ensure your safety. If you find yourself in Michigan this winter, give ice fishing a go and find out why so many have come to love this time-honored pastime!